These are some of our new and noteworthy items in July. 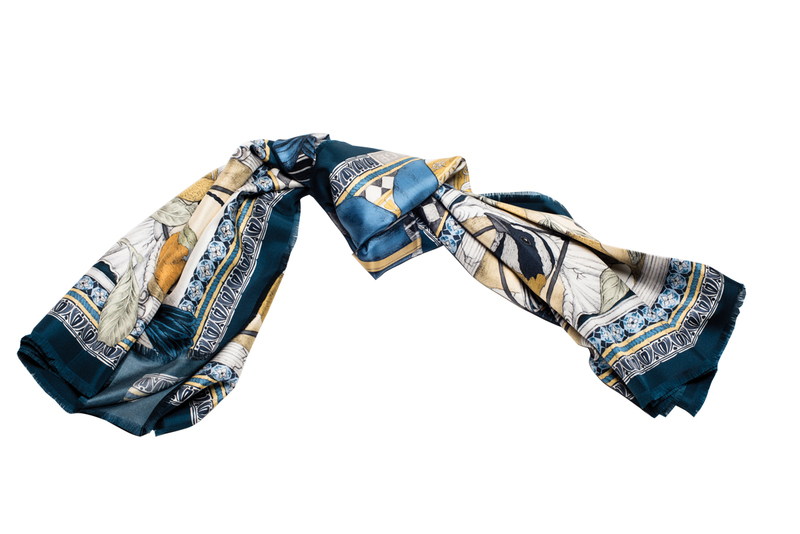 You’ll be amazed by the craftsmanship and detail of all of the kerchiefs, ascots and shawls in store at Beyond Scarf, but the collection by Sabina Savage, a designer based in London, England, stands out even here. Produced in Como, Italy, with high-quality silk, wool and cashmere, and inspired by traditional silk-scarf design, all of the scarves in Savage’s spring/summer 2018 collection are hand-rolled or fringed. The Avarium Maria design features a beautiful and detailed illustration of a swan queen, reminiscent of an opulent Mother Goose tale, in rich tones of indigo and ochre. The Avarium Maria design is available as an oversized (135-centimetre square) scarf for $595 and as a 42-cm pocket square ($145), for the gentleman looking to add a bit of panache to his suit. Local graphic designer and artist DeAnne Bedier has a big space in her heart for the slow-and-steady technique of letterpress printing, which she describes as a “labour of love.” (Think of it as slow stationery.) 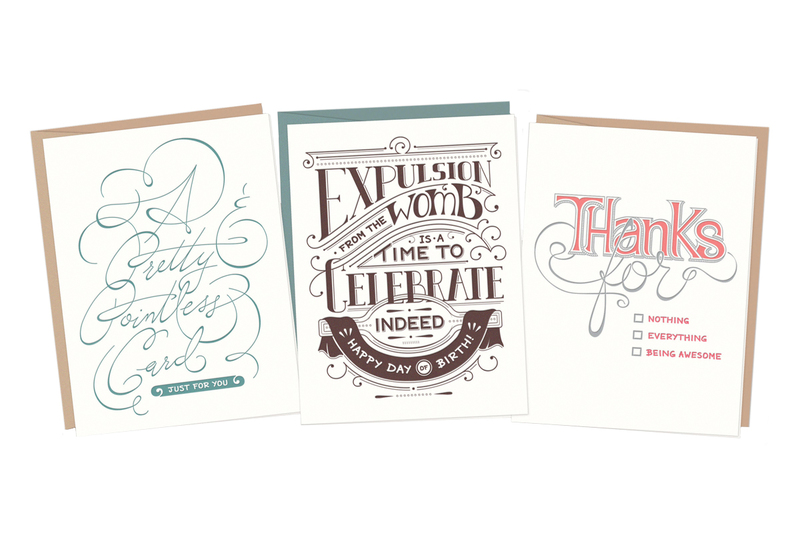 Bedier has dedicated her practice to the technique, which involves sketching a design in pencil, rendering it on the computer and then creating photopolymer plates for pressing each individual card in her 66-year old letterpress, which she has affectionately named “Bob.” Her witty greeting card designs ($7.50 per card) add quirky levity to the sometimes prosaic and repetitive occasion cards given out on Valentine’s Day, anniversaries and birthdays. Calgary-based kitchenware company Hutch Kitchen has everything you need to transform your kitchen into something worthy of Jamie Oliver or Nigella Lawson – or, at the very least, your own Instagram account. 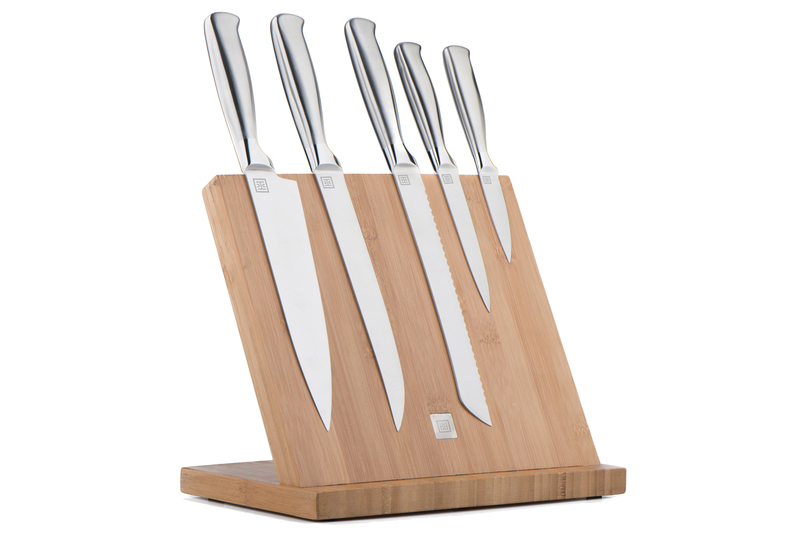 With its professional-grade stainless steel blades and sleek minimalist design, the seven-piece knife set and bamboo magnetic knife block ($249.99) is a Hutch bestseller. The magnetic bamboo block keeps countertops clear, while keeping your knives within easy reach. The set includes a chef’s knife, bread knife, utility knife, meat fork, smaller utility knife, paring knife and honing knife. Calgary chiropractor Robin Scholz created the Lschn Method after he saw the results of implementing soft-tissue restoration techniques on the face of one of his patients who was experiencing swelling, redness and puffiness. Using a smooth, metal tool, the non-invasive process improves lymphatic flow across the face and neck. Immediate results make the skin look like it has more volume and can include a sharpened jawline, enhanced cheekbones, a softer forehead, fuller lips and even hidden cheek dimples. Single treatments start at $52.50; or $535.50 for a package of 12 treatments.